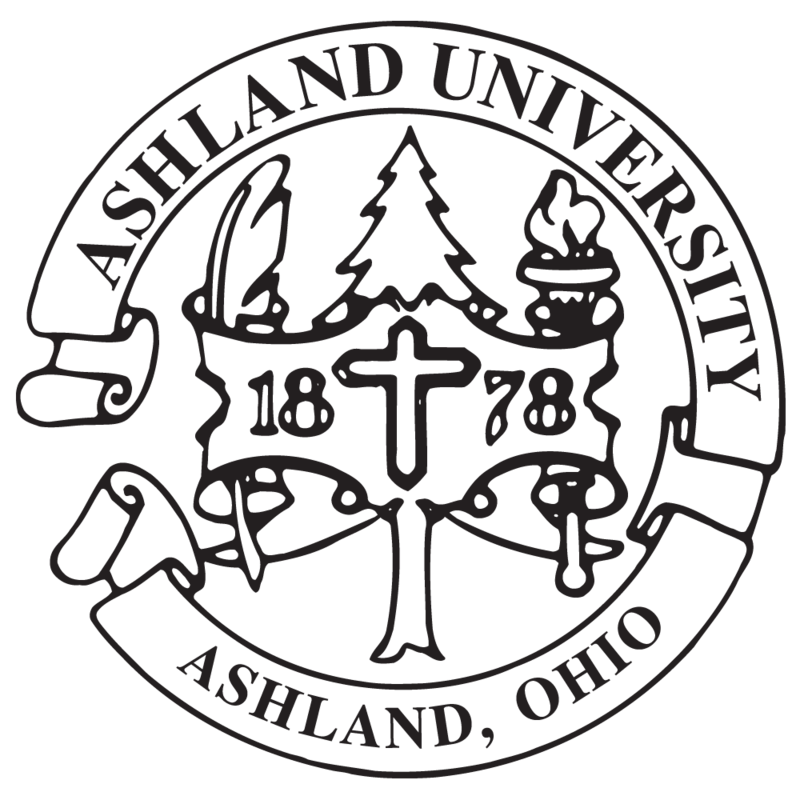 Click here to plot directions to Ashland University main campus via Google Maps. From Interstate 71, take exit #186 or U.S. Route 250, Ashland. Off the exit ramp, turn left on Route 250 heading west. Do not take the Route 250 bypass; continue west on Main Street into Ashland. As you pass the downtown business district and Home Hardware on your left, merge into the left lane and turn left on Claremont Avenue at the next intersection. Continue south on Claremont Avenue in the left lane and turn left at the second traffic light, the intersection of King Road and College Avenue. Make a soft left turn onto King Road. Please refer to the Parking Lots on Campus text below or campus map for specific parking information. When U.S. Routes 30 and 250 split on the west side of Wooster, take U.S. Route 250 west toward Ashland. Do not take the Route 250 bypass; continue west on Main Street into Ashland. As you pass the downtown business district and Home Hardware on your left, merge into the left lane and turn left on Claremont Avenue at the next intersection. Continue south on Claremont Avenue in the left lane and turn left at the second traffic light, the intersection of King Road and College Avenue. Make a soft left turn onto King Road. Please refer to the Parking Lots on Campus text below or campus map for specific parking information. From the Turnpike, exit 118, U.S. Route 250 and travel south on Route 250 about 37 miles to Ashland. Do not take the route 250 Bypass, continue straight into Ashland. This will become Cottage Street. As you approach the third traffic light, which is Main Street, be sure to stay in the center lane to go down the hill and straight through the intersection. When you cross Main Street, you will now be on Claremont Avenue. Continue south on Claremont Avenue in the left lane and turn left at the second traffic light, the intersection of King Road and College Avenue. Make a soft left turn onto King Road. Please refer to the Parking Lots on Campus text below or campus map for specific parking information. Take State Route 58 south toward Ashland. Do not take the Routes 250 and 58 bypass, continue straight into Ashland on Orange Street. Bear left onto Union Street and continue south to the intersection of Main Street. Turn right onto Main Street. Continue through the downtown business district. At the second traffic light turn left on Claremont Avenue. Continue south on Claremont Avenue in the left lane and turn left at the second traffic light, the intersection of King Road and College Avenue. Make a soft left turn onto King Road. Please refer to the Parking Lots on Campus text below or campus map for specific parking information. Ashland University has a number of parking options around the perimeter of the campus. Most visitors come to campus from the north via Claremont Avenue and turn south onto King Road. Lot A will be on your left off King Road near Bixler Hall. If you continue down King Road and take a left turn onto Samaritan Avenue, there is a large parking lot, Lot B, on your right just south of the Student Apartments. If you continue down Samaritan Avenue and take a left onto College Boulevard, parking Lot C is on your left between the Arts and Humanities Building and the new Dwight Schar College of Education Building. If you continue down College Boulevard and take a left onto College Avenue, you will pass the Dauch College of Business and Economics Building and the Gill Center on your right. Take the next alley into the parking lot, Lot D, which is behind the Dauch College of Business and Economics Building off College Avenue or Grant Street. If you continue down College Avenue and go straight through the light at Claremont Avenue, there are two additional lots, Lot E and Lot F, northwest of Claremont Avenue off Jefferson Street and on both sides of Myers Convocation Center and Amstutz Hall. Lot G is northwest of Broad Street near the athletic fields, while Lot H is located behind the Conard Field House with access from Claremont Avenue.